Experienced Professionals that care about the end result. "If your dog won't come to you, you need to come to us." Dog Owners Quiz for a "Good Dog"
Does my dog come to me every time I call him? Does my dog wait to walk through the door before me? Does my dog stay in a sit until released? Do I walk my dog or does my dog pull me down the block? Can my dog go to his bed and lay down on command? If you answered NO to more than one of these questions, there is NO QUESTION ABOUT IT, you should enroll your dog in one of our up in coming classes. 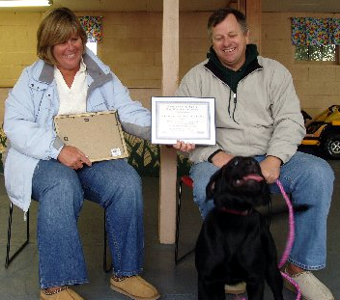 The focus of this class is using positive reinforcement to begin a good relationship between dog and owner. Puppies are introduced to the "sit", "down", and "come" commands, as well as "loose leash walking" and "leave it". Socialization time is provided with other puppies and people, and puppies are exposed to many new sights and sounds in a positive way. Fee: $400.00 for 7 weeks of training. All training equipment is included, yours to keep, including dog treats. The focus of this class is on strengthening the relationship between owner and the dog by increasing communication skills. Positive reinforcement techniques are applied to introduce good Canine goals. 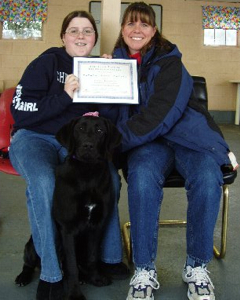 This is a good first-time class or a fellow-up class to a puppy class. This seven week program is geared toward motivating your dog to respond the way you want, simple and easily. 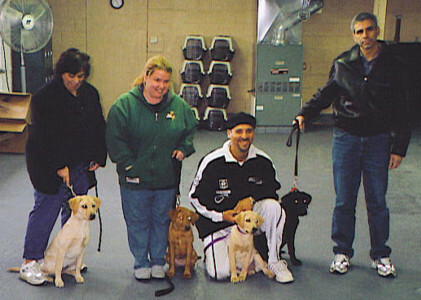 In this group setting, your will get used to other people and other dogs and learn to ignore distractions. Fee: $400.00 for 7 weeks of training. All training equipment is included, yours to keep, such as lead line, lesson book and dog treats. Please Note these classes sometimes fill up ahead of start date. Please call to reserve your position. 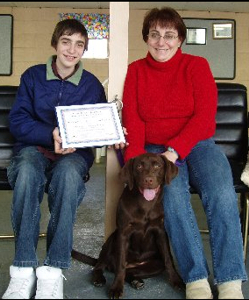 All Puppies/Dogs must be up to date on Vaccinations, including Kennel Cough before starting class. You must provide proof of Vaccinations and Kennel Cough. 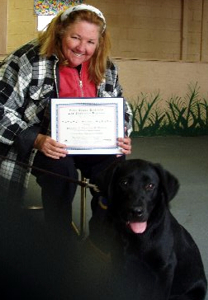 We are professional trainers, certified by two top dog training schools in the nation, graduates from Animal Behavorial College and The George Hickox school of Gun Dog Training. 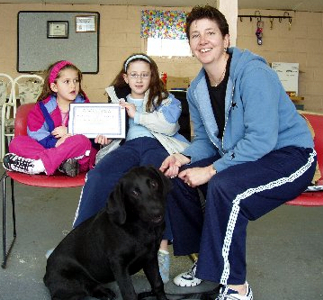 Although the State of New Jersey does not require educational background to work as a dog trainer, we answer to an even higher authority, our integrity.